Setting up a brick-and-mortar shop requires planning and strategy to not only bring customers through the door, but to entice them to buy. Your digital shop is no different. Wha’is the use of meticulous building strategy if no one knows your store exists? Why bring thousands of people to your site if it is dated and non-functional? Your site’s appearance, functionality and presence all need to walk together, hand in hand. 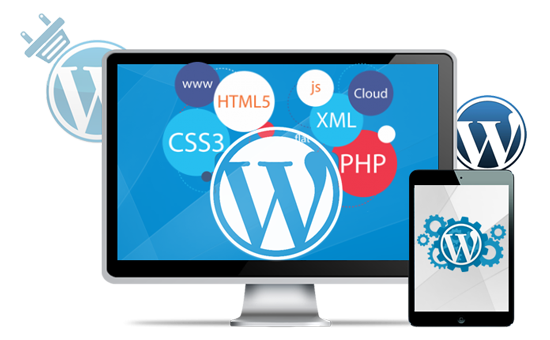 That’s where we come in – delivering you powerful platforms through through WordPress impressive suite of capabilities. From the Wild West days of dial-up internet in the early 1990s, to the era of high-speed connections and mobile devices today, ecommerce has boomed exponentially over the years. The sheer volume of online shopping has exploded because the process has become simple for both consumer and vendor alike. Sites can be launched in a matter of days and with proper marketing, can reach consumers almost instantly. And that’s exactly what we love to tap into – explosive growth that’s driven by user behaviour. Gaining momentum through marketing is the key, though. You cannot operate a ‘build it and they will come’ attitude in an ecommerce landscape that’s flooded with competition and major players putting the squeeze on your small business. So how do you cut through the clutter and gain the interest of interested prospects? Through a sleek custom WordPress website that gives your brand something worth flaunting. WordPress is a powerful tool– it’s also an exceptional platform that provides an extensive collection of literally thousands of innovative features. Whether you’re after a minimalistic site to get the word out about your business, or a full-blown platform that addresses all facets of your operations – our custom WordPress developers are equipped with the tools (and the passion) to deliver it on this world-class interface. Best of all, our team of experts know the plugins like the back of their hands, have insights on the best addons and can streamline your SEO requirements to deliver a supportive end-result. Perfect. Let us bring our A-game to the table and show you what we’re all about with our talented team of specialists here in Brisbane. We currently help hundreds of businesses across Melbourne and wider Australia to further establish their digital presence, with the help of flawless platforms like WordPress. To find out more, or to get started, give us a buzz on 1800 896 599 now. We’ll help you decide on the best option for your business, and the most beneficial approach to suit your budget. What is WordPress and how is it better than its rivals? There are a multitude of platforms out there that can be used to design your website. So why choose this one? Offering WordPress developers (like ours in Melbourne, Brisbane and across Australia) a simple approach for personalised platforms and extensive add-ons, its quickly become a crowd favourite in digital marketing. WordPress operates with the best of both worlds. It can be a minimalist program that entry level users can adopt to manage their site, or can be as intricate as a custom WordPress developer may require. It’s the Jack-of-all-trades in the space, and that’s why we love building on it. It is flexible and adaptable: The plugin-based system means that WordPress can drill down to edit whatever function you want targeted instantly and easily. There are also specific plugins for full-service ecommerce stores, which means you are not wrestling with over-complicated settings to build, change and adapt your online sales room. Google loves it: Your goal as an ecommerce business is to get as many people to your site as possible and land those products in carts. But that can’t be done without great rankings in search engine results. Google loves fresh content and WordPress is the world-leading content management system for doing just that, providing easy accessibility for brands to become publishers. It’s mobile compatible: The majority of sales in your ecommerce store are likely to come from people on mobile devices and tablets, not desktop or laptop computers. Luckily, the platform is optimised to make all websites look and perform good on these mobile devices, nicely tied together by an expert WordPress developer like ours.